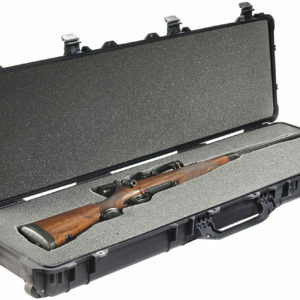 With the Plano All Weather Tactical Gun Case you can rest assured that your firearms will remain safe and dry in the worst that Mother Nature has to throw at you. 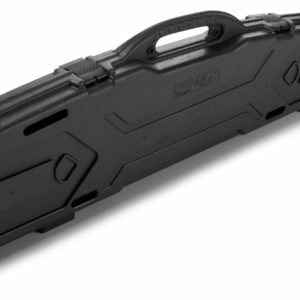 The Plano PRO-MAX pillared single scope rifle case provides maximum protection for your scoped long gun no matter where you take it. It feature’s Plano’s patented PillarLock system that ensures a tight seal with a durable, crush-resistant exterior is roomy enough for scopes with a large objective lens. 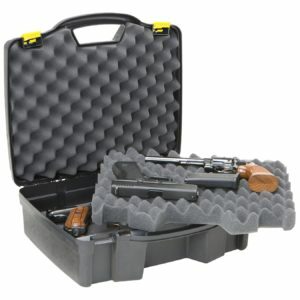 If you’re looking for a quality pistol case but don’t have much to spend, then the Plano 1404 Four Pistol Case is just what you need. 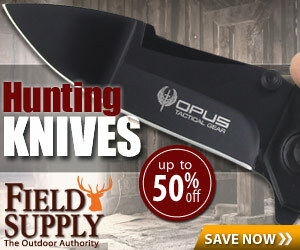 It stores up to four handguns in two layers of protective foam. There’s plenty of room for accessories too. The heavy-duty latches stay shut tight, and the thick-walled construction will keep inventory safe through plenty of banging and bumping. 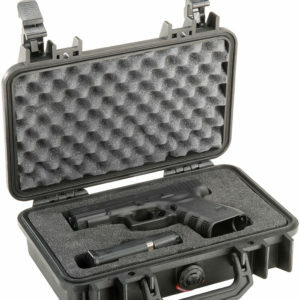 The Pelican 1100 Protector Case gives your treasured pistol ultimate protection. As one of the leading manufacturers of protective cases, Pelican hard cases offer watertight security that you can take virtually everywhere so that you can be assured that your firearms will remain safe and functional throughout your travels. No matter the size of your firearms, Pelican has you covered. 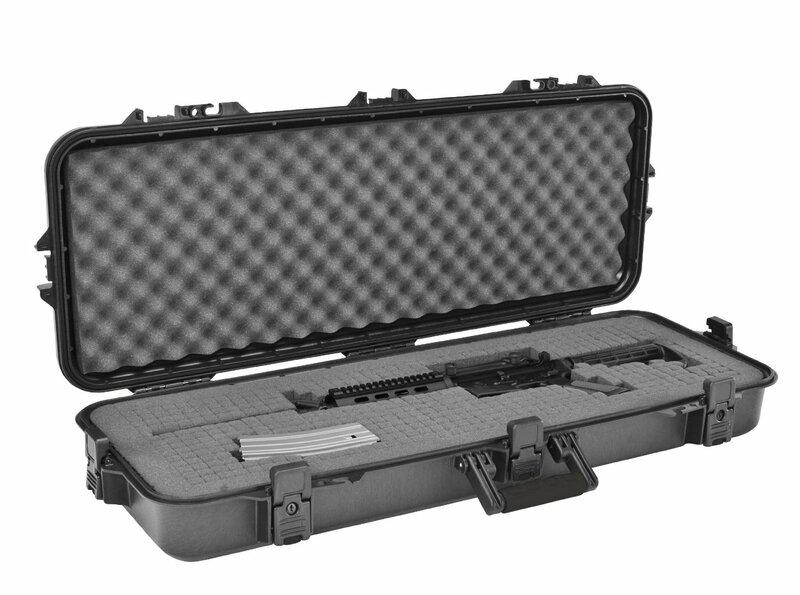 The Pelican 1720 Protector Case for long rifles gives your rifle the ultimate protection. As one of the leading manufacturers of protective cases, Pelican hard cases offer watertight security that you can take virtually everywhere so that you can be assured that your firearms will remain safe and functional throughout your travels. No matter the size of your firearms, Pelican has you covered. 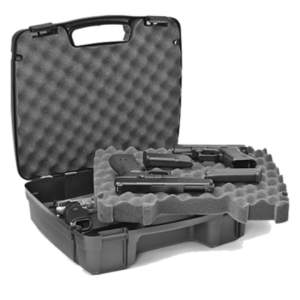 The Plano All Weather Extra Large Pistol/Accessory Case offers industrial strength protection for up to four of your largest handguns. The patented Dri-Loc Seal for this all-weather case forms an airtight and watertight barrier, as well as a built-in pressure valve, so your handguns can survive even the toughest conditions. The Pelican 1700 Protector for long rifles gives your rifle the ultimate protection. 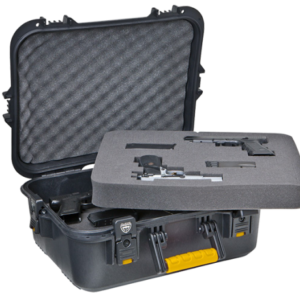 As one of the leading manufacturers of protective cases, Pelican gives you watertight security that you can take virtually everywhere so you can be assured that your firearms will remain safe and functional throughout your travels. 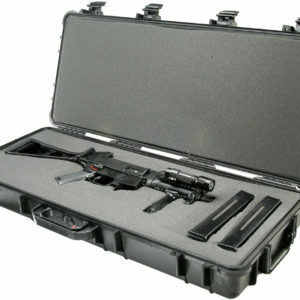 The Pelican 1750 Protector Case for long rifles gives up to two rifles the ultimate protection. 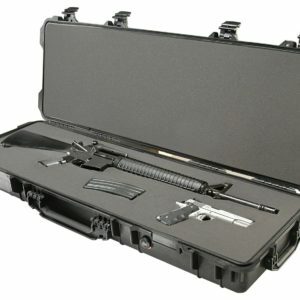 As one of the leading manufacturers of protective cases, Pelican hard gun cases provide watertight security that you can take virtually everywhere so you can be assured that your firearms will remain safe and functional throughout your travels. The Plano SE SERIES Four Pistol Accessory Case is just the sort of case you need if you have several pistols and you need to keep them safe (which should go without saying). For added security, the Plano Four Pistol Accessory Case features recessed latches and padlock tabs.